One Day Only!!! 80%OFF and an Extra 10%OFF on All Items including Clearance! The Coupons will be Automatically Added to Your Shopping Cart! Free Domestic Shipping and Gift Box! 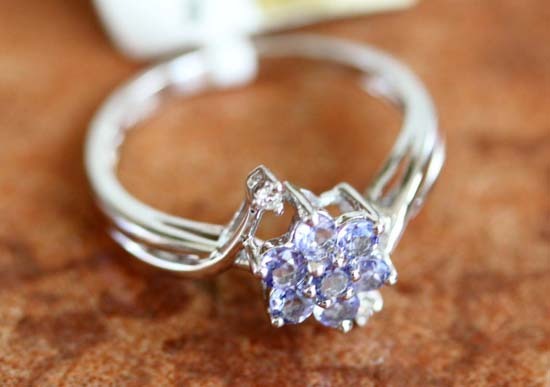 14K White Gold 0.01ctw Diamond and 0.41CTW Tanzanite Flower Ring. The ring size is 7 and it measures 1/2" in length. The total weight of the ring 2.7 grams. Click add to cart for an extra 80% off!